So, North Korea is pretty mad at South Korea for suggesting that Kim Jong-un's nuclear devices could fall into the wrong hands. Specifically, a North Korea spokesman ranted that South Korean President Park Geun-hye should quit "blabbering" like a "peasant woman," calling her a "faithful servant and stooge of the United States." Wow. Getting the knives out, eh, North Korea? So what did Park "blabber," exactly? Well, in her speech at the nuclear summit in The Hague on Monday, Park said that the first step toward creating a nuclear-free world would be to halt North Korea's nuclear program. She warned that Pyongyang's nuclear missiles could easily end up in the hands of terrorists or cause a catastrophic nuclear disaster. 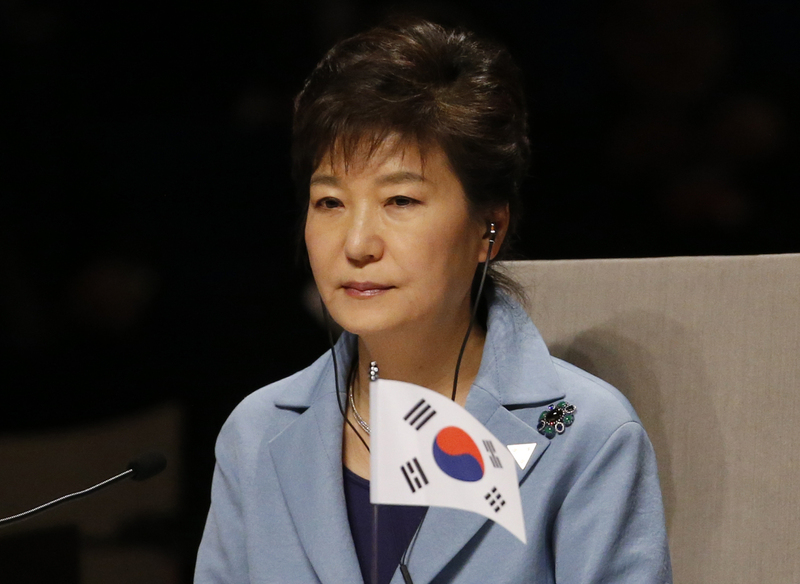 According to a North Korea spokesman, Park's speech was "dumb." If Park wants to see any real improvement in the relationship between the two nations, continues the spokesman, then "she first has to stop rambling recklessly and learn how to speak with discretion." This is not the first time that a North Korean official has made inappropriate comments about Park. In the past, references have been made to "the venomous swish of her skirt." Seoul wasn't having any of it. South Korean officials have stayed firm on their belief that concerns about Pyongyang's nuclear program are legitimate, and that raising these concerns at an appropriate international forum is not slander. In a statement put out Thursday, the Ministry of Unification called North Korea's remarks "deeply regrettable." “Using unrepeatable words to criticize our head of state’s normal diplomatic activities is a gross violation of the agreement between the two Koreas,” the statement read, according to Seoul-based news website Daily NK, which focuses on issues related to North Korea. “North Korea insists that it is in fact our government that is slandering them; however, we would like to emphasize once more that this is not the case." In an apparent response to what was said at the nuclear conference, North Korea test-fired two medium-range Rodong ballistic missiles into the sea off the country's east coast in the early hours of Wednesday morning. This is a step-up from the short-range missiles it has been testing out recently; Rodongs have a range of around 807 miles, giving them the capability to cover most of Japan, and also reach Russia and China. The launches coincided with a meeting between Park, President Barack Obama and Japanese Prime Minister Shinzo Abe that took place on the sidelines of the conference in The Hague, where the leaders pledged their commitment to presenting a united front against North Korea's nuclear program.